I think the at-home birthday dinner, done right, can blow any restaurant experience out of the water. 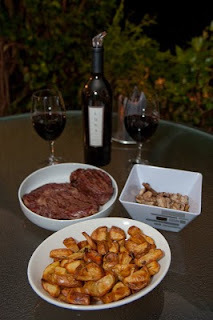 That said, here’s what Chris and I feasted upon the other night on the back patio to celebrate his big day. 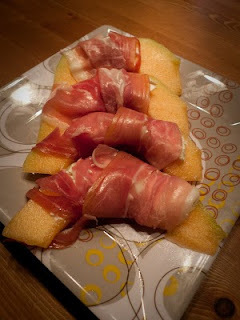 Prosciutto e Melone with goat cheese. I picked up prime fillet and dry aged rib eye from Roseville Meat Company. Just a little bit of pre-grill salt and olive oil made both of these cuts shine. 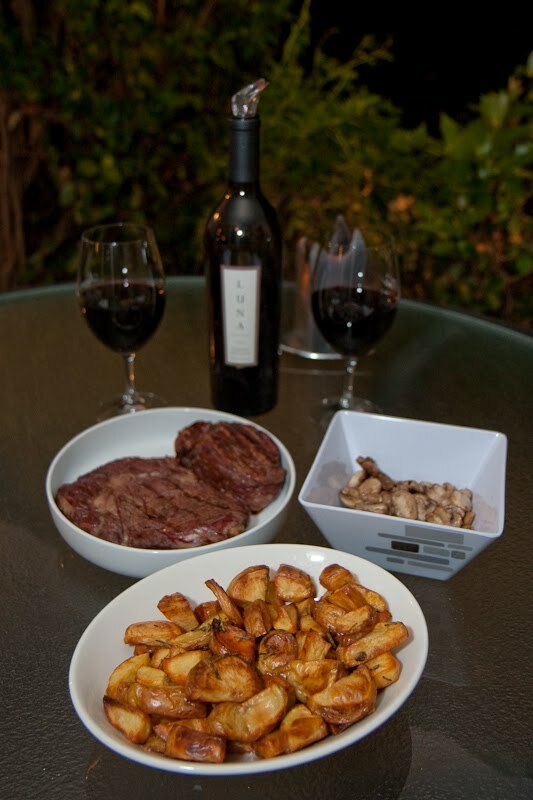 Sautéed mushrooms and oven-roasted Yukon Gold potatoes (tossed with olive oil, salt and rosemary from the back yard). Luna Vineyards 2005 Cabernet Sauvignon with dinner, and 1997 Van Der Heyden Napa Valley Late Harvest Cabernet Sauvignon after dinner. Double-chocolate and strawberry cupcakes from Icing on the Cupcake in Rocklin. 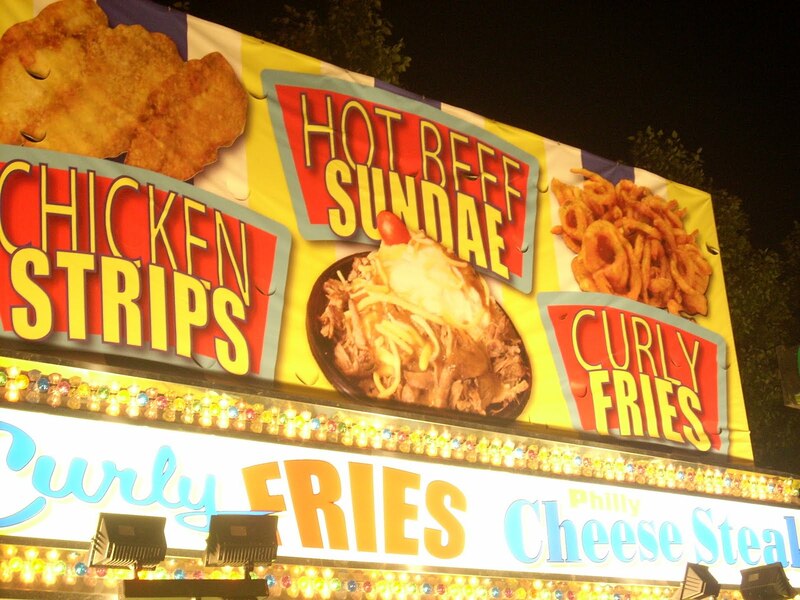 Find the delicious photo here. Some people are big on trying the newest deep-fried gross-out foods at the California State Fair. Me? 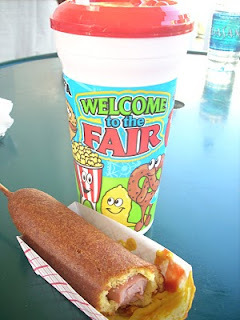 It’s the one time a year I’ll eat a corn dog. Even better with some ice-cold lemonade. 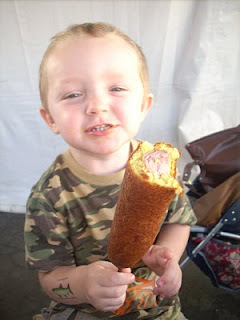 My nephew Waylon, age 2, also gives the corn dog his stamp of approval. 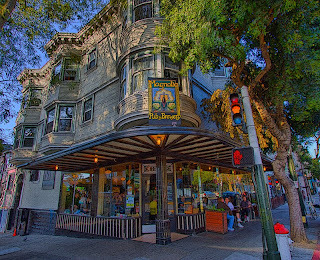 Give Magnolia Gastropub & Brewery a try the next time you’re in San Francisco. 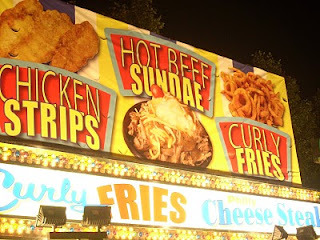 I’m always excited by any place that makes their own sausage, and the night we stopped in there were a handful of different links on the menu (I enjoyed the chicken sausage, served with crispy potatoes), in addition to all kinds of other tempting entrée options. The seven-barrel brewery is located below the pub—their beers have names like Cole Porter and Wit Rabbit. Headed to California’s Central Coast? 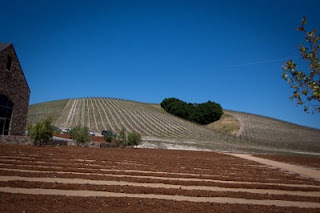 We were in Cambria recently for a friend’s wedding, and decided to delay the 300-mile drive back home by hitting up some Paso Robles wineries. 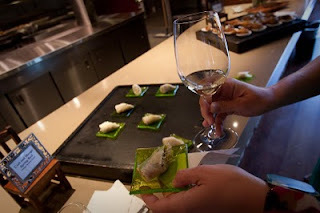 Favorites included Zenaida Cellars, which makes a lot of killer reds, and Niner Wine Estates, which happened to celebrate their grand opening the Sunday we stopped in by pairing wines with some tasty snacks prepared by Trumpet Vine Catering (that’s a crab and mango spring roll paired with Niner’s 2007 Sauvignon Blanc, below). 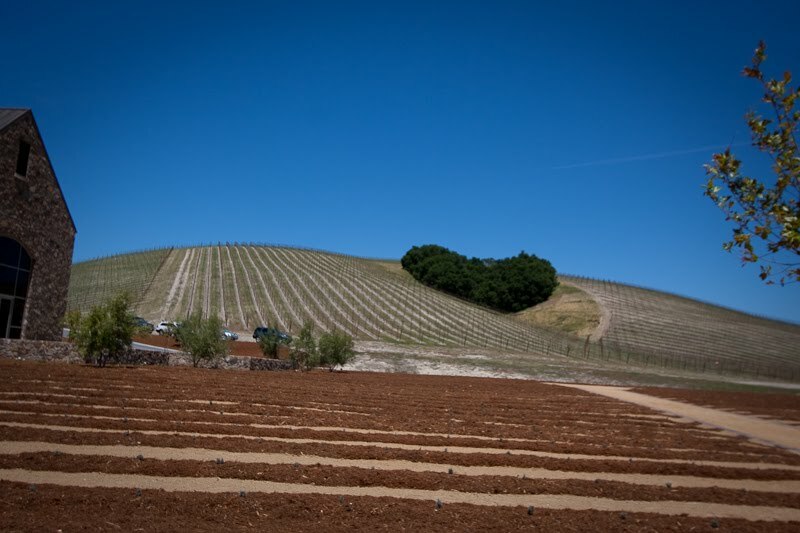 Learn more about Paso Robles wineries here. 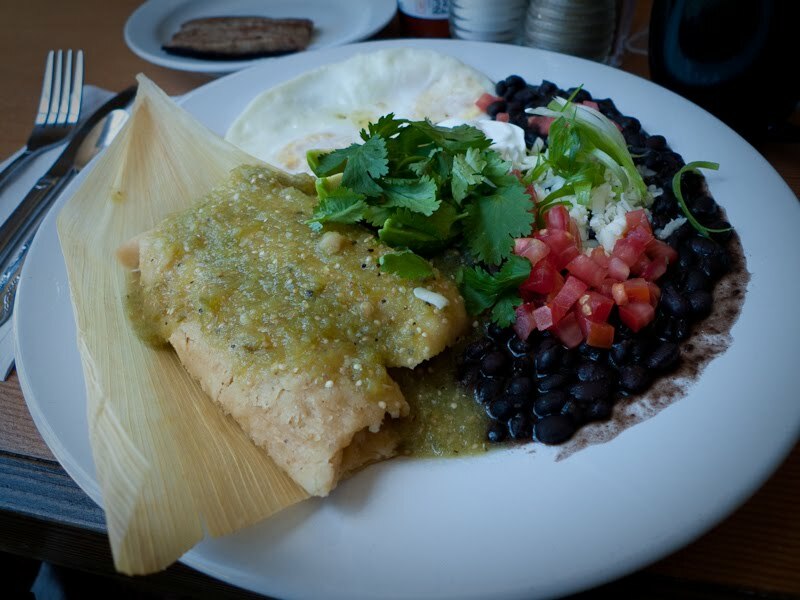 Looking for a great brunch in Sacramento? The next time you roll out of bed with a roaring stomach, head over to Orphan, located on 3440 C St. just a few blocks from McKinley Park. Their food is fresh, simple and fantastic, and their coffee is also amazing. On a recent visit I inhaled corn tamales covered in tomatillo sauce served with eggs (over medium, please), black beans, cilantro, tomatoes and cheese. 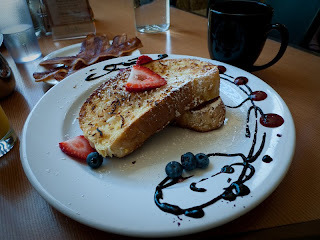 Chris thoroughly enjoyed his coconut French toast, which was one of the specials that day. 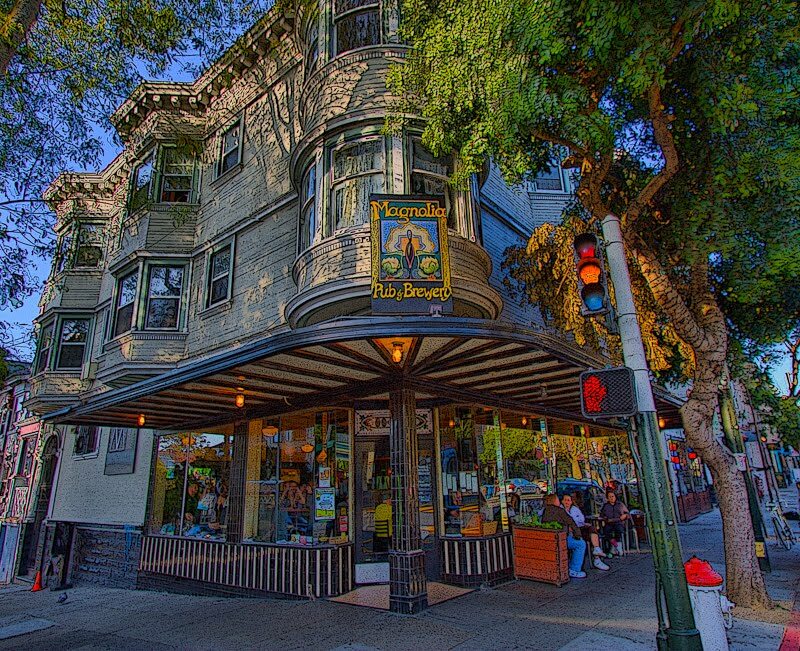 While I’ve only tried Orphan once, their sister spot in Chico, Sin of Cortez, was one of my college dining splurges. Someday I’ll own enough cookbooks to fill a library. My collection is slowly growing, but truth is, right now I rely a lot more on the Internet and magazines for inspiration. I’ve developed a sort of system to keep the house from becoming overrun with loose notes, blog printouts and pages torn from magazines. 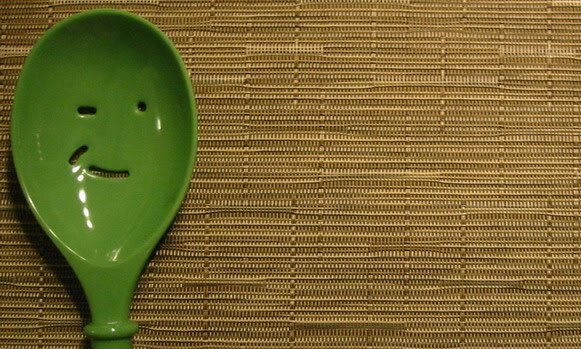 Here are a couple things I do to keep my recipes under control. I typically read a food magazine twice. The first time around, after Bon Appetit comes in the mail or I pick up a Food & Wine at the supermarket, I pretty much devour the thing, blazing through each page and drooling over the content, mostly the photos. Second read is more for collection purposes. 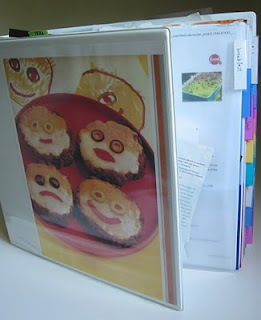 I go through each page, using sticky tabs (I have a huge stack of sticker sheets pilfered from back issues of Lucky) to mark each recipe that I’d like to try. Post-its work great as well. Using strips of paper can work in a pinch, but sometimes those little strips slip out, and the sticky tabs allow me to identify specific recipes on the page so nothing gets overlooked. 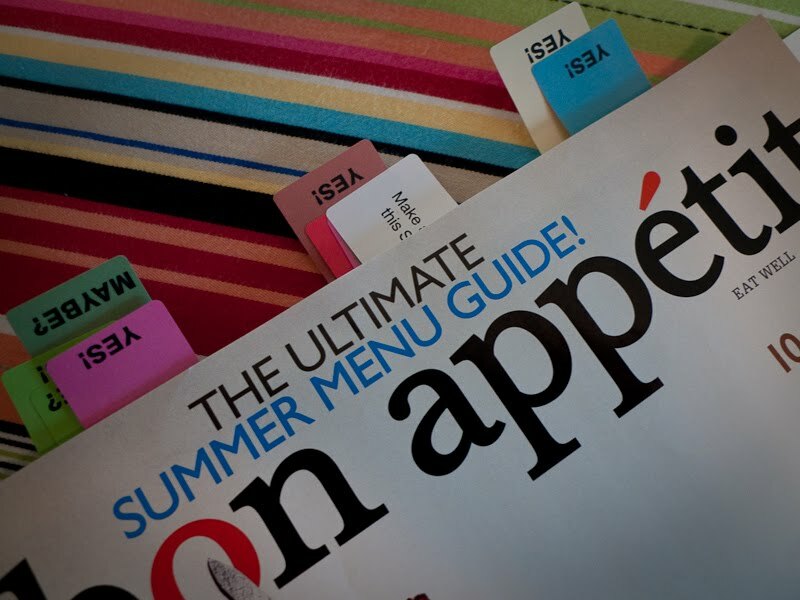 When it’s time to minimize the tower of magazines stashed under the coffee table, it’s easy to go through each issue and cut out tabbed recipes. If something catches the attention of my taste buds while I’m online, I’ll either copy the recipe, the link, or both into a Google Docs file I like to call “I heart food.” This works out well when it comes time to test the recipe, because I can highlight and copy the ingredients and add them to the shopping list I also update through Google Docs. My mom keeps a recipe box. I keep a binder. I’ve got a three-inch, three-ring binder stuffed with two-pocket plastic dividers. 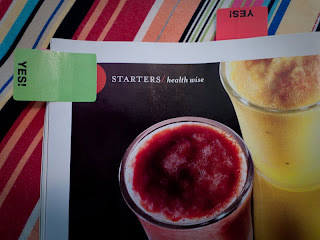 I use 16 tabs to keep track of everything from appetizers to poultry, breakfast to cocktails. The recipes I’ve yet to try go into divider pockets — Asparagus with Curry Butter can be found in the “Vegetables” tab, for example. It’s only after I’ve tried and enjoyed something that I’ll file the recipe in a sheet protector, to make it easier to find the next time I want to prepare that particular dish. 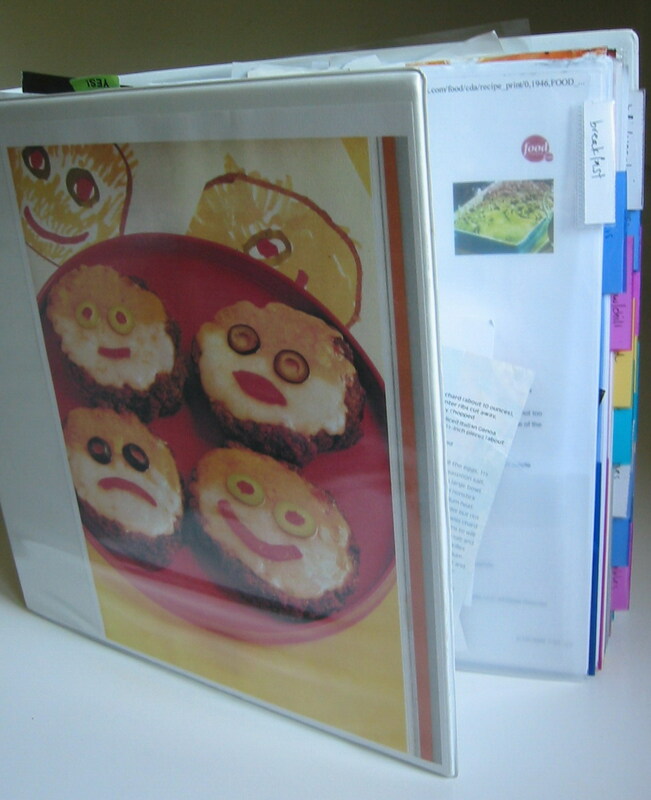 The sheet protectors are also great because you can remove them from the binder — no clunky cookbook on the counter — and they’re easy to wipe off should splatters or spills occur (I’m a bit of a messy cook).